The new Omega trigger system simplifies the CZ 75 trigger system, uses fewer parts and improves the trigger pull. The CZ P-07 Duty is the next generation of the CZ handgun family. The compact size Duty features the ergonomics and accuracy of the CZ 75 with a totally new trigger system. The new Omega trigger system simplifies the CZ 75 trigger system, uses fewer parts and improves the trigger pull. In addition, it allows users to choose between using the handgun with a decocking lever (installed) or a manual safety (included) by a simple parts change. The polymer frame design of the Duty and a new sleek slide profile (fully machined from bar stock) reduce weight, making the P-07 Duty a great choice for concealed carry. Capacity is 12+1 in .40 S&W, and 16 +1 in 9mm. Originally developed for the U.S. Joint Combat Pistol Program and intended for field operations, the FNP-45 Tactical offers the standard FNP-45 ACP performance plus a host of unique features. The 5.3" stainless steel barrel has a threaded muzzle to accept a sound suppressor or compensator. The 5.3" stainless steel barrel has a threaded muzzle to accept a sound suppressor or compensator. The new FDE stainless steel slide is fitted with high-profile combat night sights and includes two mounting bases to accept an optional red dot electronic sight. Each FNP-45 Tactical comes with three 15-round magazines and an exclusive Eagle tactical soft case. Leupold now offers its variable power VX-3 2.5-8x32mm and fixed power FX-II 2x20mm handgun scopes in a matte black finish preferred by many hunters concerned with maintaining concealment in the field. Both scope models have undergone extensive testing by Leupold to ensure they can handle the crushing recoil of even the hardest-kicking handguns. Each offers features such as extended, non-critical eye relief; a generous eyebox; the popular Duplex reticle; and bright, clear optics to help hunters and shooters acquire targets quickly and shoot accurately. With its versatile magnification range, the VX-3 2.5-8x32mm is a good match for virtually any handgun. The scope features Leupold's Xtended Twilight Lens System. This system uses index matched glass with proprietary lens coatings that rebalance blue and purple wavelengths to provide hunters with an even brighter, sharper image in low-light conditions. To further enhance optical performance, blackened lens edges reduce light diffusion, cutting glare and improving image resolution and contrast. The DiamondCoat 2 ion-assist external lens coating delivers superior light transmission while supplying the highest level of abrasion/scratch resistance offered by Leupold. With its versatile magnification range, the VX-3 2.5-8x32mm is a good match for virtually any handgun. Other features of the VX-3 model include cryogenically treated, high-strength aluminum adjustment dials and Leupold's most durable twin spring erector system. Second generation Argon/Krypton waterproofing â€“ Leupold's exclusive internal gas blend â€“ provides the ultimate in thermal shock resistance, keeping the riflescope fog proof as well as waterproof. A super fast-focus eyepiece comes with a removable rubber eyeguard. The FX-II 2x20mm model utilizes Leupold's Multicoat 4 lens system for optimizing image brightness, clarity and contrast. The scope has a lockable, fast-focus eyepiece--the eyepiece can be securely locked after the reticle focus is set, so the shooter can instantly be "dialed in" on the target. This is particularly important for handgun scopes that must sustain the sharp recoil of modern handguns. In addition, a tactile power indicator allows the shooter to easily tell the scope's magnification setting with just a touch, without taking his or her eye from the eyepiece. The FX-II is also waterproof and fog proof. VX-3 and FX-II handgun scopes have a one-inch maintube. For precision tuning of windage and elevation, the VX-3 model has 1/4-MOA finger click adjustments while the FX-II model offers 1/2-MOA coin click adjustments. Ruger New Model Blackhawk .327 Mag. Ruger showed a New Model Blackhawk chambered in .327 Magnum. This stainless steel single-action revolver has all the classic lines, classic feel and modern features the New Model Blackhawk line is known for. It retains the solid frame, feel and comfortable grip of classic single-actions, and feature Ruger's patented transfer bar ignition system with loading gate interlock, an all-coil spring mechanism, adjustable sights, and frame-mounted firing pin. SIG SAUER introduced the E2 Enhanced Ergonomics versions of its benchmark P226 & P229 series of pistols. The SIG SAUER E2 models provide improved handling for a wider range of shooters than ever before in two of the most popular SIG handgun platforms. The E2 Enhanced Ergonomics P226 & P229 build on the successful components of the P226 & P229. The newly designed one-piece modular grip with improved texture reduces area in the back strap and overall circumference, providing a better fit over a wider range of hand sizes. The modular grip snaps securely in place eliminating the need for grip screws. A lanyard loop is standard. E2 models feature the innovative Short Reset Trigger (SRT) system providing a 60% reduction in trigger reset. E2 models also include a reduced reach trigger, providing an even better fit for shooters with smaller hands. A redesigned decocking lever can be combined with an optional ergonomic slide catch lever for a reduced profile; ideal for high two-hand grip techniques. Both models feature a frame machined from 7075-T6 aircraft grade aluminum with a black hard coat anodize finish, and integral accessory rail for tactical accessories. The E2 Enhanced Ergonomics P226 & P229 build on the successful components of the P226 & P229. Slides are machined from a stainless steel billet and coated with a proprietary Nitron finish for long lasting durability and corrosion resistance. The E2 version of the P229 adds even more features. Updated slide design replicates the classic look and feel of the P226 and P228 with a robust new external extractor that enhances reliability and durability. 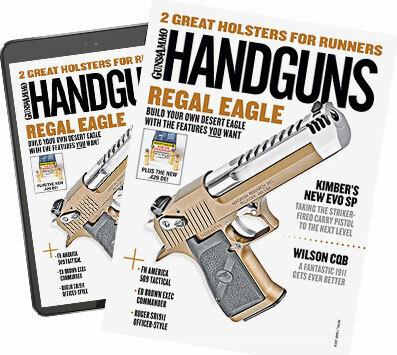 A new magazine design increases 9mm capacity to 15-rounds in a flush-fit profile â€“ that's two more rounds more than the standard P229, and the same capacity as the P226. Features include an ambidextrous magazine release, "Strike Two" trigger, external hammer and aggressive checkering. Little brother of the 800 Series, these new pistols were born to perform. They give everything you could want in a 3.5" barrel semi-autoâ€”-the best in features, handling, speed and reliability. If you're looking for performance in a smaller size, the 800 Compacts are worth a look. Features include an ambidextrous magazine release, "Strike Two" trigger, external hammer and aggressive checkering. Available in 9mm, .357 SIG or .40 S&W.